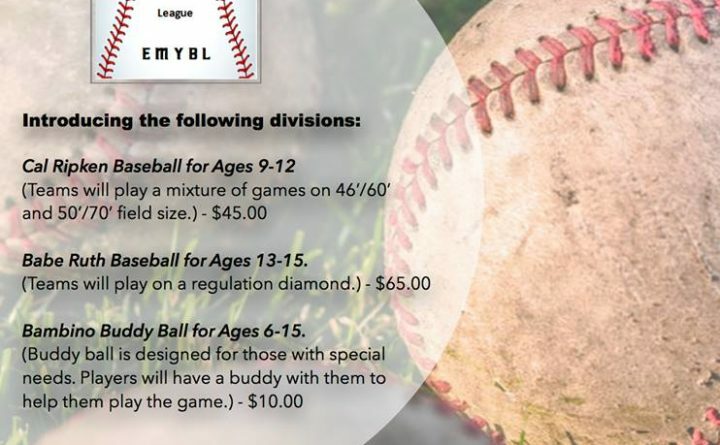 BANGOR –Three new baseball divisions – Cal Ripken Baseball, Babe Ruth Baseball and Bambino Buddy Ball – are set to launch this spring. Registrations are open now for the new league. Players from all over Eastern Maine are eligible to play. – Cal Ripken Baseball (ages 9-12) will feature a rare 50’/70′ Diamond for kids to learn the game of baseball. – Babe Ruth Baseball (ages 13-15) will look to bring highly competitive baseball to the area once again. – Bambino Buddy Ball (ages 6-15) is a league specifically designed for those with special needs. For more information visit our Facebook page Eastern Maine Baseball League. You can also register and find more information at our website Eastern Maine Baseball.